Actress, writer and comedian Tina Fey, famous for her spot-on impersonations of Sarah Palin on Saturday Night Live, recently resurfaced as a speaker at the Producers Guild of America’s 2016 edition of Produced By New York Conference, and reflected on saner times. “It was like an ice cream social,” she said, comparing the political climate for comedy eight years ago and how its evolved now. A-list actors Tina Fey and Matt Damon emerge as speakers. 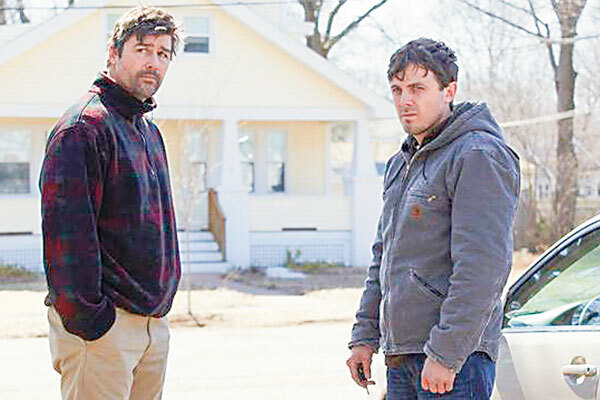 Kyle Chandler and Casey Affleck in a scene from Manchester by the Sea. Produced by Matt Damon (left), the film is on the short-list for potential Oscar nods. These days, aside from writing, Fey is playing producer to Netflix’s critically acclaimed comedy, Unbreakable Kimmy Schmidt. Speaking at the conference, Tina Fey defended fellow comedian-host Jimmy Fallon who came under criticism for his handling of Donald Trump during his variety show. While we’re on the subject of the Produced by New York Conference, another A-list star who emerged as a speaker was Jason Bourne star, Matt Damon, who spoke about his recent production effort, Manchester by the Sea, which is on the short-list for potential Oscar nods.